Conditions of your cat’s skin such as dull fur, excessive oil and dandruff-like flaking are indications of an unhealthy dermis. With proper skin care treatment, you can help reduce dry and scaly skin in your cat. Essential 6 for Cats is a scientifically proven product that helps in revitalizing cat’s skin and coat. A unique formulation of essential oils and fatty acids, this topical solution improves coat shine along with reducing non-seasonal hair loss. 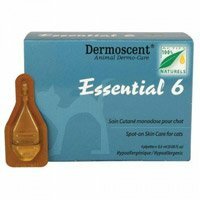 Essential 6 for Cats is a revolutionary skin care solution for all types of cats. A perfect blend of Omega 6 and Omega 3 fatty acids, this spot-on rejuvenates the skin and coat of cats. Antioxidants present in this topical solution successfully combat free radicals, and enhance skin and coat shine. Supplying extra nutrients, this skin care product effectively nourishes feline’s skin. 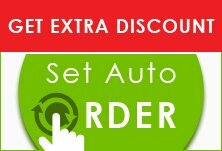 Cheap product and no more skin problems. Skin is smooth and silky now.